For over 25 years, Viviscal has been passionate about finding the answer to hair loss. 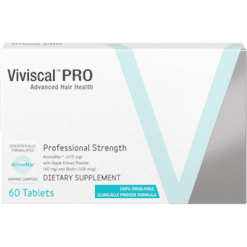 After the many years of this pursuit, Viviscal presents what they have developed as hair growth dietary supplement which is supported by seven clinical trials. These seven clinical trials include the most recent double-blind, placebo-controlled scientific research program, which is dedicated entirely for women’s hair growth. The result of this study shows major decline in hair shedding and a significant increase in hair thickness over a six-month period. 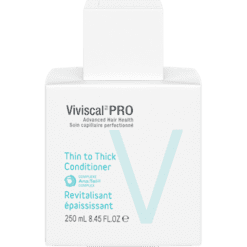 The complete Viviscal Hair Growth and Hair Care Programs offers products that nourish the scalp and add volume and a holistic way of caring for your hair from the inside out and the outside in. 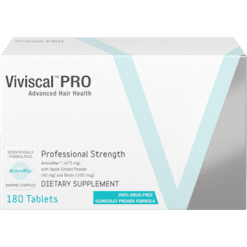 Viviscal is the only health supplement that contains AminoMar® marine complex, which is a product of a Scandinavian professor’s study on Inuits in the 1980’s which led to a discovery that their beautiful and glowing hair and skin were a result of their diet, which was rich in fish and protein. That, plus a blend of the vital nutrients that nurture thinning hair and promote existing hair growth from within, makes Viviscal special. 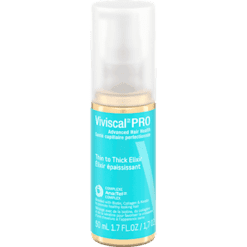 Viviscal Hair Growth and Hair Care Programs products are drug free and include cosmetic products that prepare the scalp and add volume.